Need to know the fundamentals of Nintendo's upcoming console but don't like, I don't know, scrolling? Or looking at tables? 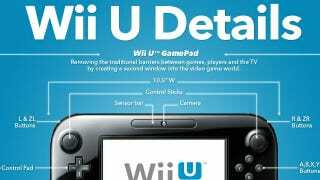 This infographic, listing all the Wii U's publicly-released specs, has you covered. It comes courtesy of Nintendo Europe, and breaks down both exterior components as well as some of the console's internal specs.